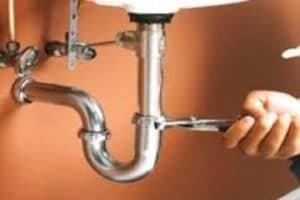 The plumbing in your home or business is important, and you need people you can trust to work on it. That is why having a trusted plumbing company is so important, whether you are a renter, homeowner, or business owner. You want to make sure you know who to call for maintenance, or if something goes wrong, instead of just picking the first name you can find. Sometimes that works out fine, but it could also mean that your Arlington home or business does not get the quality work it deserves at a price that is fair to you. You can avoid that kind of risk by calling on HEB Plumbing & Sprinkler-Kathlyn Smith for any Arlington plumbing work. For over 35 years, HEB Plumbing & Sprinkler has been helping homeowners, renters, and business owners in and around the Arlington area with everything from minor to major plumbing repairs. You want a company that is professional and reliable, and that is exactly what you will get with HEB Plumbing & Sprinkler. As a locally owned company, HEB Plumbing & Sprinkler understands the needs of the local area and the clients who live and work there. Commitment to the area is strong, since so many of the company’s employees live, work, and raise their families in or near Arlington. 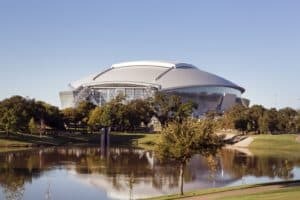 Because of the commitment to the people of Arlington, you can feel secure in the knowledge that HEB Plumbing & Sprinkler will be there to help with any plumbing problems in your home or business. You do not have to settle for a plumbing company that does not care about its clients, or that charges too much for the work performed. You can choose HEB Plumbing & Sprinkler, and get your Arlington plumbing job done right the first time, at a fair price. For any plumbing issue, HEB Plumbing & Sprinkler can help you get what you need. There are a wide variety of services offered, so you can get the repair or maintenance you need and want for your Arlington home or business. From a major replumbing job to a minor repair or some maintenance, HEB Plumbing & Sprinkler can do it all. If you are ready to get started on your next plumbing project, get in touch with HEB Plumbing & Sprinkler and get your Arlington home or business up and running again. Very professional , knowledgeable and helpful. Honest, perfect, service in all ways. 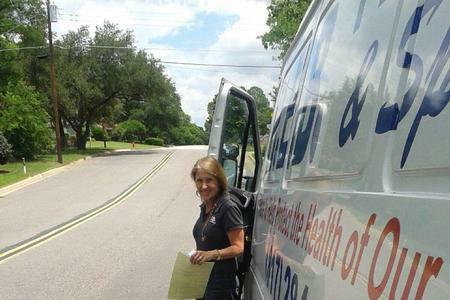 I have had several services,attic plumbing,yard sprinklers, new water heater,in two homes.As a widow I have always had the best service at very fair prices and the most perfect honest,true people serving me.Kathlyn Smith and crew can not be commended enough. Cost/pricing: I was a bit surprised by the price, but I pride myself in being a DIY person, so I may be a little out of touch with service pricing. I really appreciated Chris explaining what and why he was doing something. We removed & installed customer supplied trim for walk-in shower-Universal type. We also removed/installed customer supplied dual lavatory drain finish along with faucets.